his pillow, so that he should not bo too comfortable and might soon wake up. In the meantime the King's daughter, who could also run well, as well as an ordinary man could, reached the stream, and hastened back with her pitcher full of water. 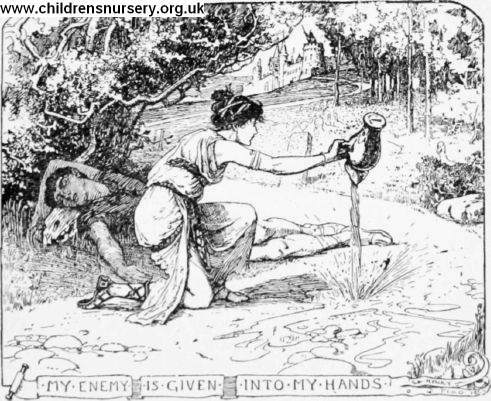 When she saw the runner lying there asleep, she was delighted, and said, ' My enemy is given into my hands !' She emptied his pitcher and ran on.